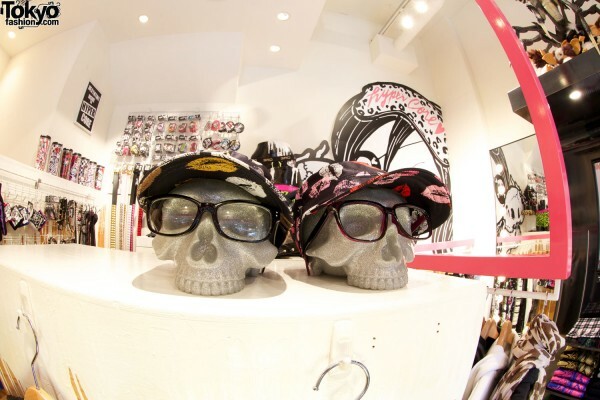 There are many cool indie shops and fashion brands that exist only in Harajuku. These are the stores that give Harajuku its personality by catering mostly to the adventurous Japanese kids you see in FRUiTS Magazine, here on TokyoFashion, and in other Harajuku street fashion magazines. These small businesses are often run by a single creative person – someone who started the brand, creates the designs him/herself, and even works in the store. 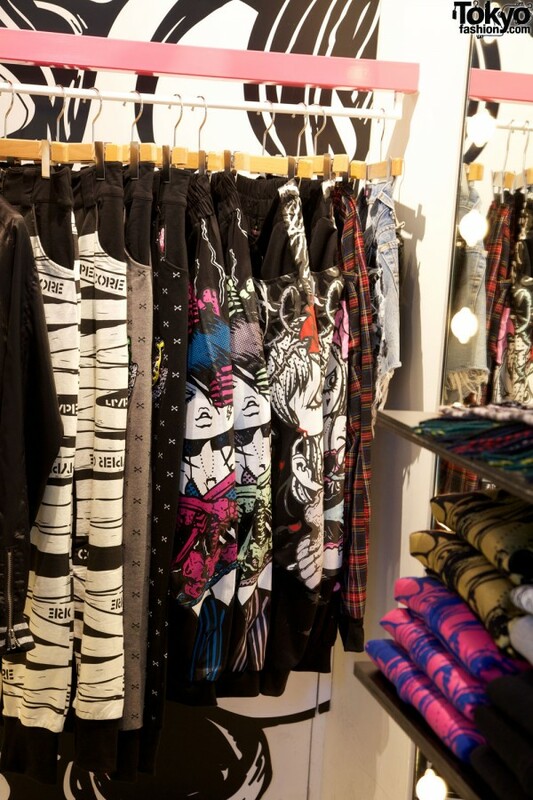 We would like to introduce you to one of these “Made in Harajuku” indies today – the Harajuku-meets-punk shop and brand Hyper Core Harajuku! 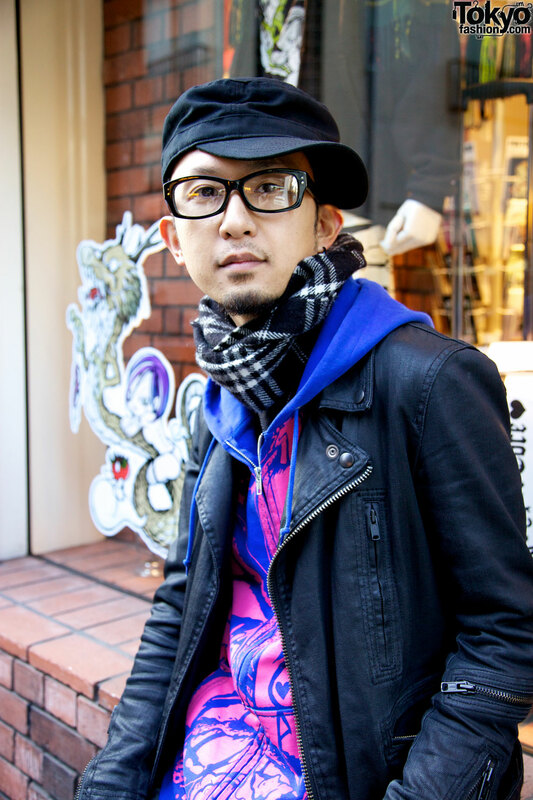 Hyper Core was founded by the Japanese artist Hisacy. 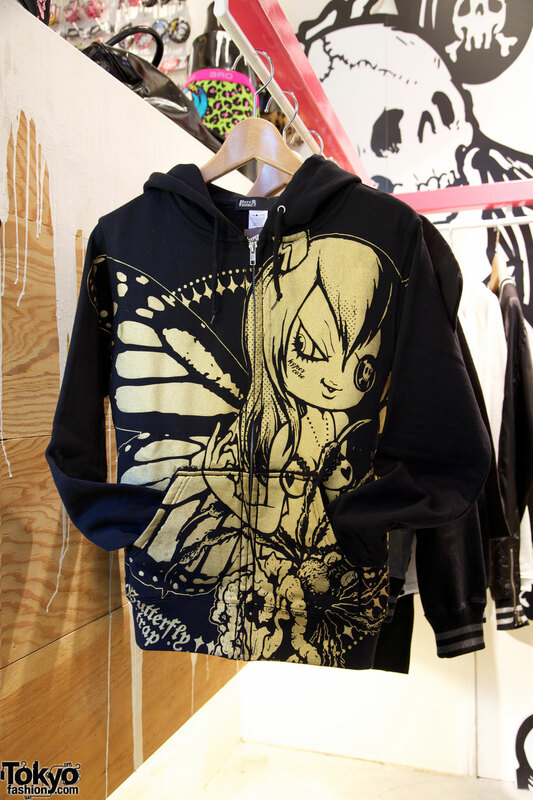 Most of the designs the brand produces are based on his original illustrations. Before starting Hyper Core, Hisacy’s job as an illustrator included work for Japanese magazines, album covers, apparel designs, and other clients – much of it music-related. 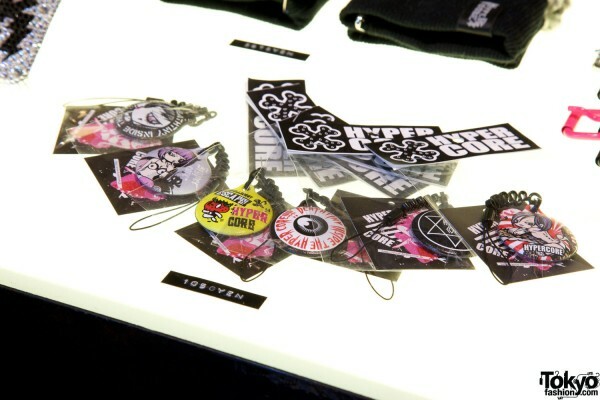 Since launching Hyper Core, Hisacy has continued to work with various Japanese bands (including a popular collaboration line with the visual kei band DaizyStripper). The visuals of the brand reflect his interest in punk/underground music and style. 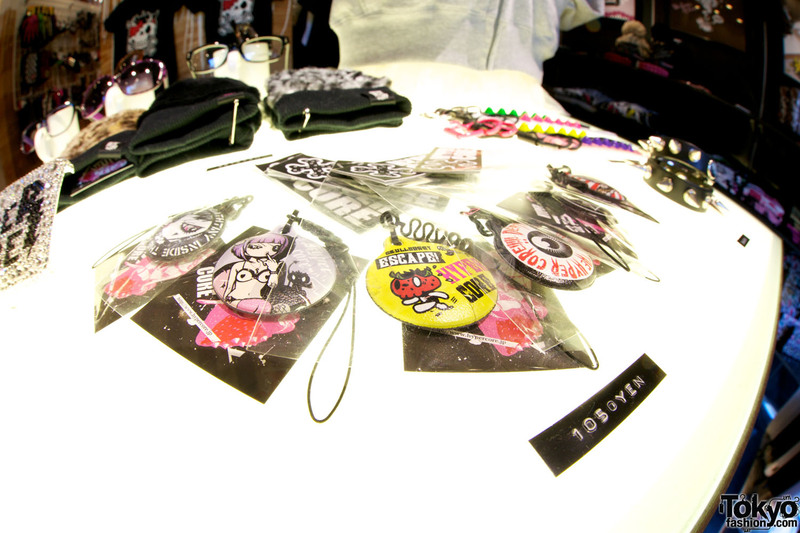 Please subscribe to the official TokyoFashion YouTube Channel! Q. What’s the name of your brand? A. 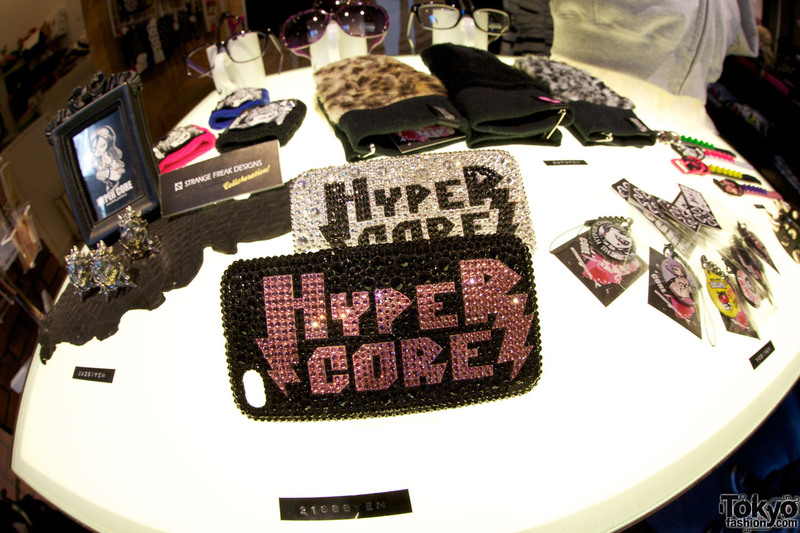 The brand is called HYPER CORE. The shop is called HYPER CORE HARAJUKU. Q. 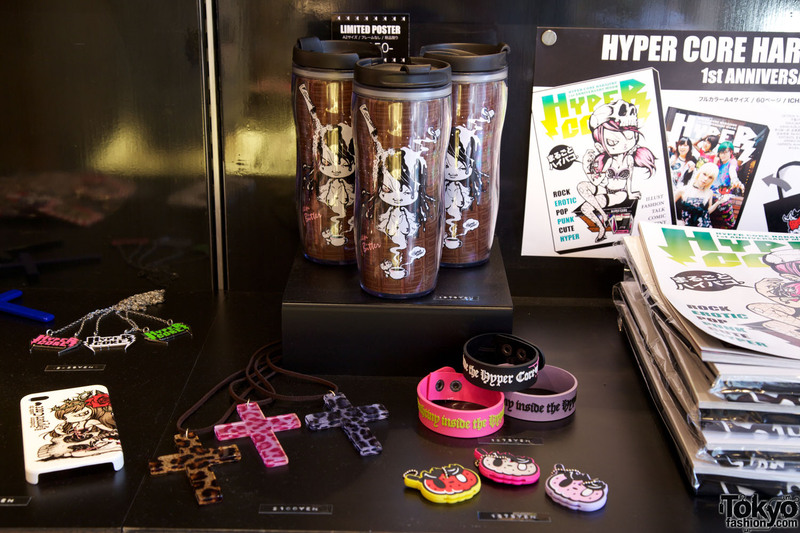 When was Hyper Core founded? A. 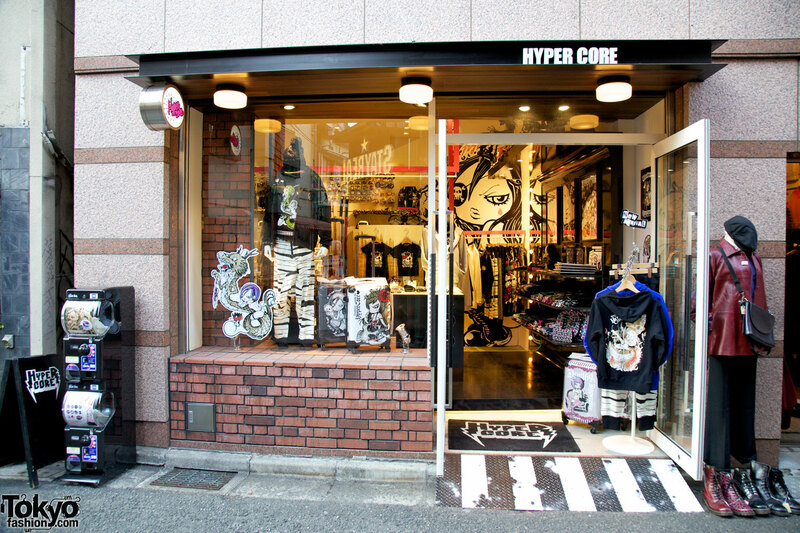 The HYPER CORE HARAJUKU shop opened in September of 2010. Q. Who is the Hyper Core’s main designer? A. Hisacy is the director of the brand and the head designer. Q. 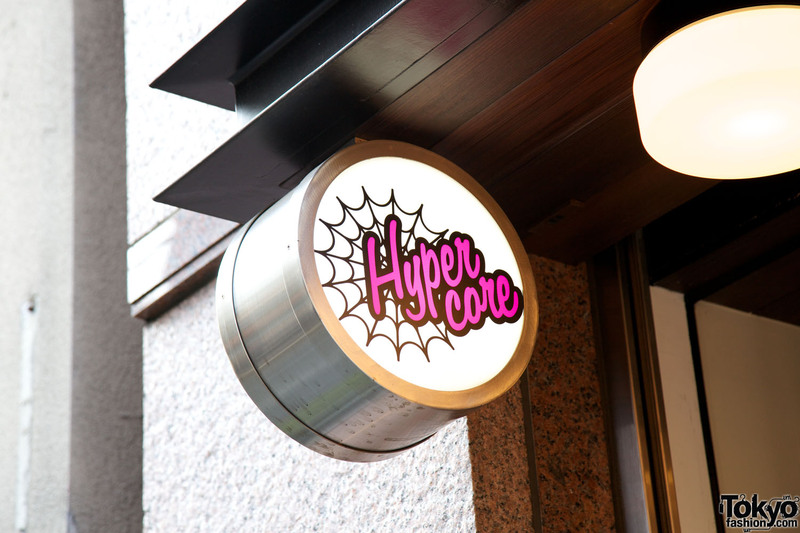 What is Hyper Core’s brand concept? A. 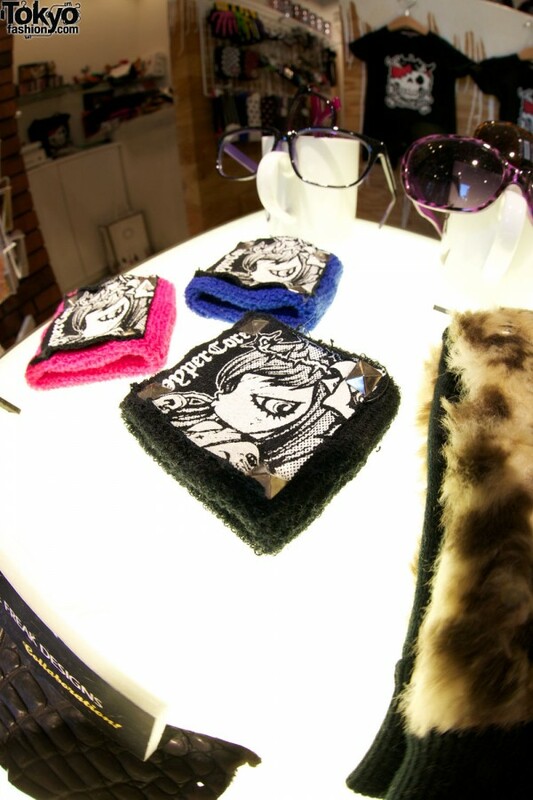 This brand was created by Hisacy who was working as an illustrator. Hisacy’s creation is a mixture of items based on punk rock style which is combined with various cultures (art, music, movies, Harajuku in 1990s, street, etc. ) that he is deeply involved in. 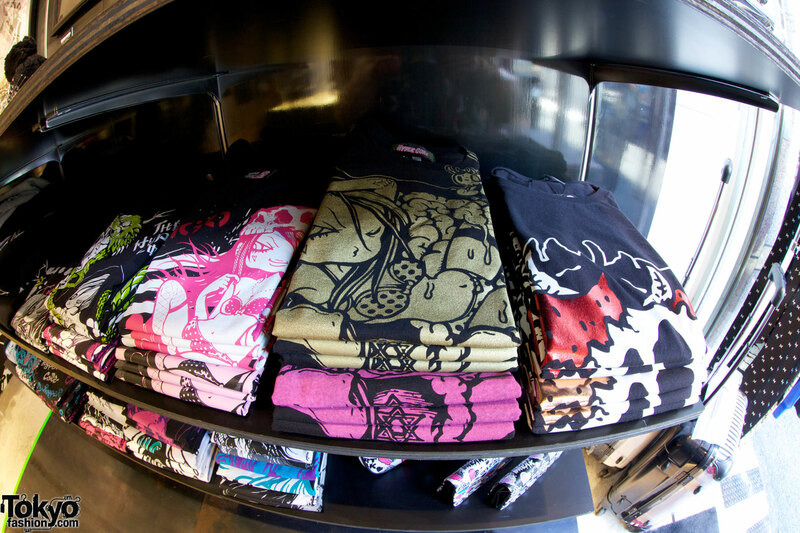 The brand’s main items are, for example, T-shirts with illustration prints. We try to make the brand’s items by hand as much as possible. The designer is an artist and strongly believes that originality is essential. Q. As far as the Hyper Core shop in Harajuku, do you carry any other brands? A. 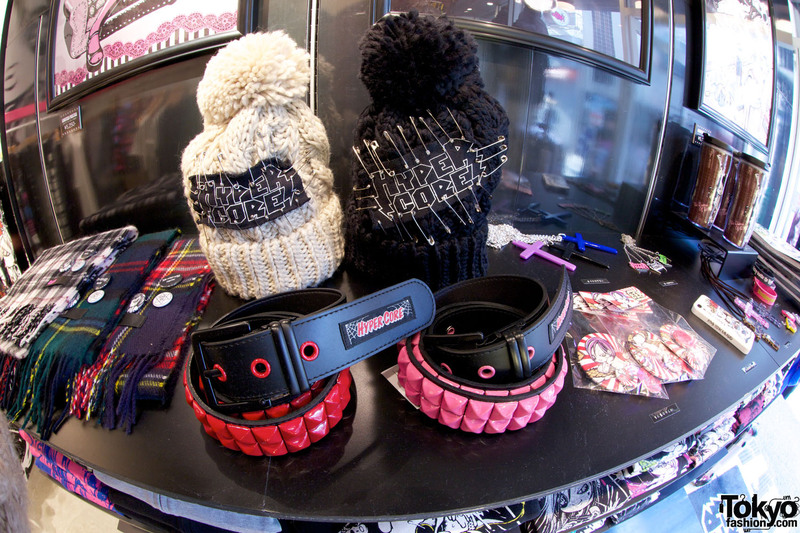 Currently, we carry HYPER CORE items only. Q. Where can people interested in your brand find you online? A. HYPER CORE has a website and Hisacy is also active on Twitter. Q. Do you have an final comment or extra info to share? A. 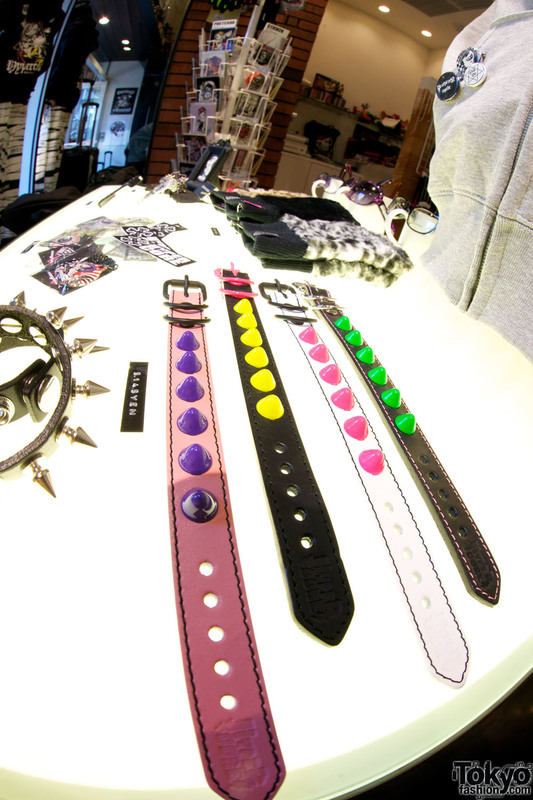 The designer, Hisacy, is at the Hyper Core shop front on Saturdays, Sundays, and public holidays. 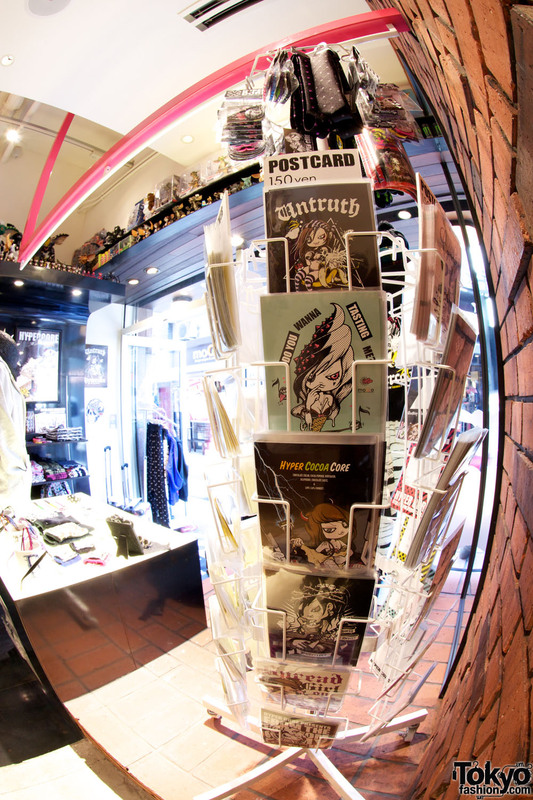 Please come in and say “Hello” if you’re in Harajuku! A big thank you to Hisacy for answering our questions, and for letting us take photos and video of his shop and his artwork! 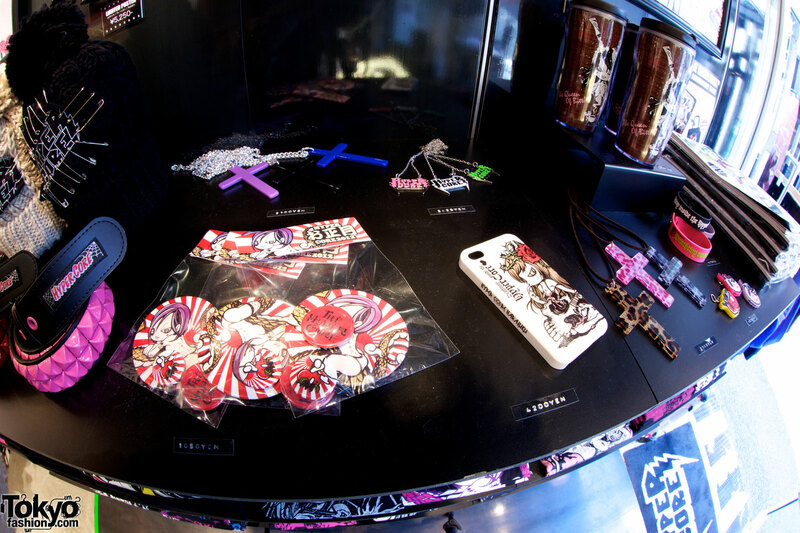 Check out all of the pictures from inside of Hyper Core Harajuku below. Click on any of the images to see them in high resolution. 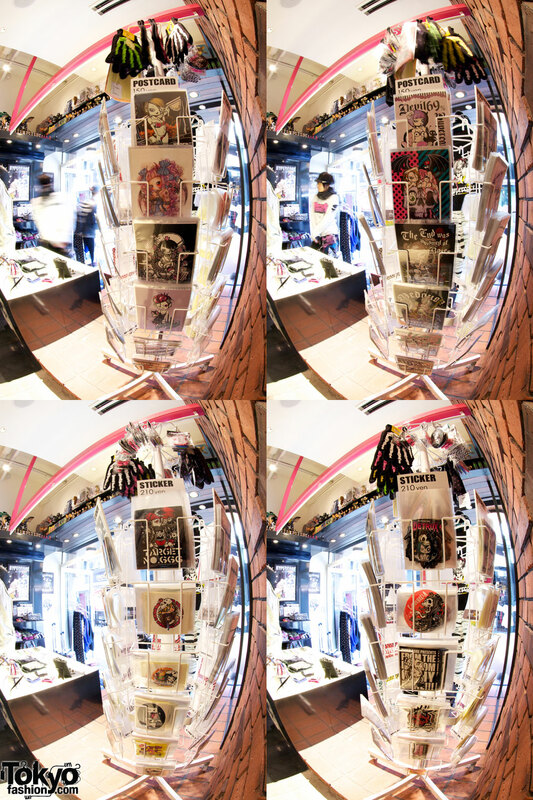 Click any of the Hyper Core Harajuku pictures to enlarge them! 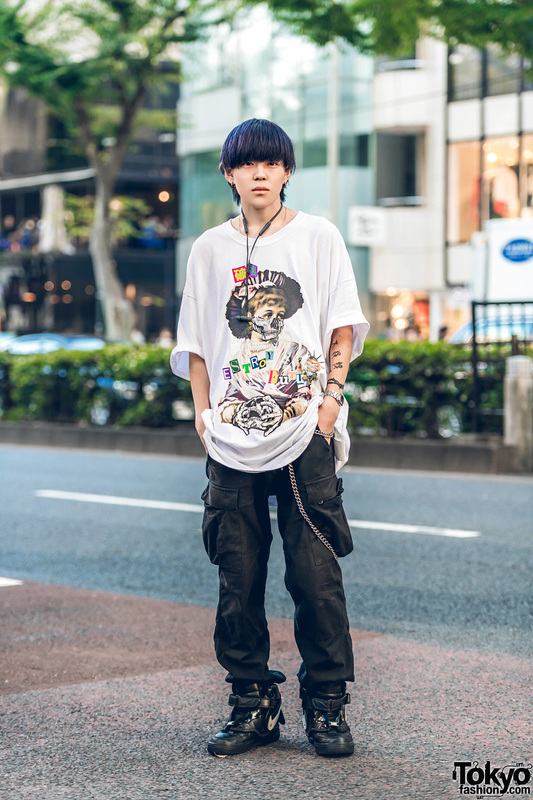 Where: Harajuku, near the intersection of Meiji Dori and Takeshita Dori. 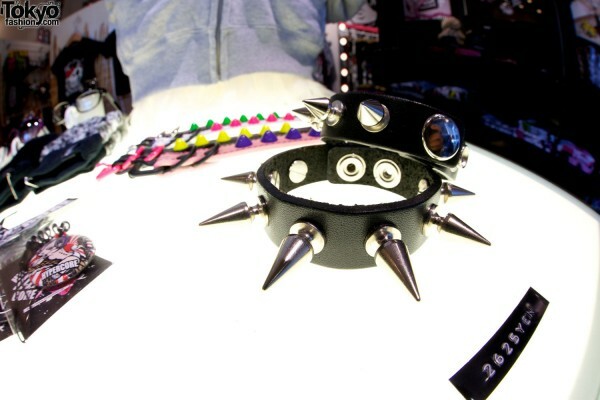 Next to the famous Dog Harajuku boutique. Photos by Kira. Video by 1K Films. 1K Films is a full production independent video company working in both the US & Japan. For more info, check out the 1K Films website. cute clothes and superb illustrations! 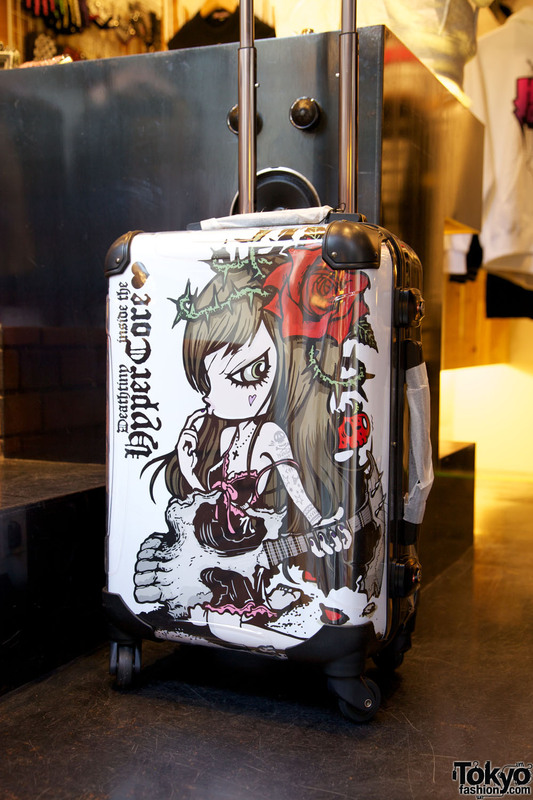 Love that suitcase~ It’s so cute..
Wow, everything in that store so awesome!! 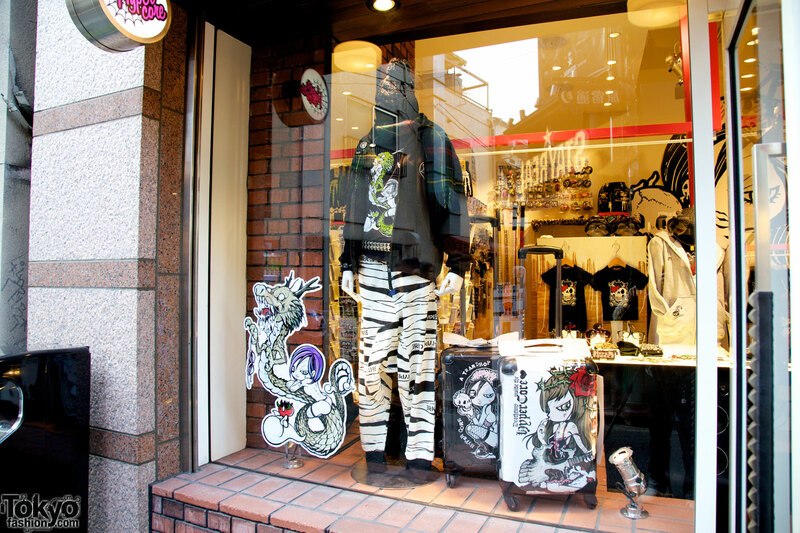 Once again, I wish I was in Harajuku to go check it out myself! 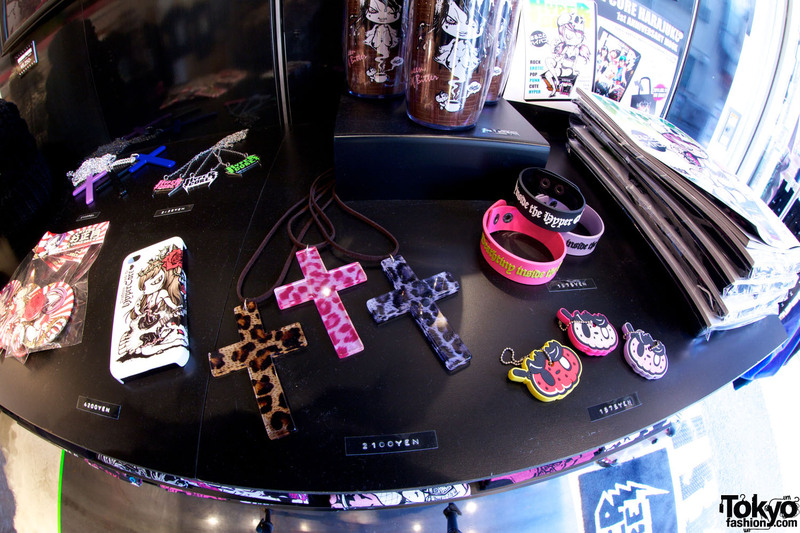 I love everything!~ I was going to buy some stuff- but unfortunately I’m not sure if they ship outside of Japan. Would anyone happen to know if they do? I would love to get so much stuff from them! HYPER CORE! *me gusta* like it a lot! The way the art is presented in this shop reminds me of a sneaker boutique in my city called Sole Classics. 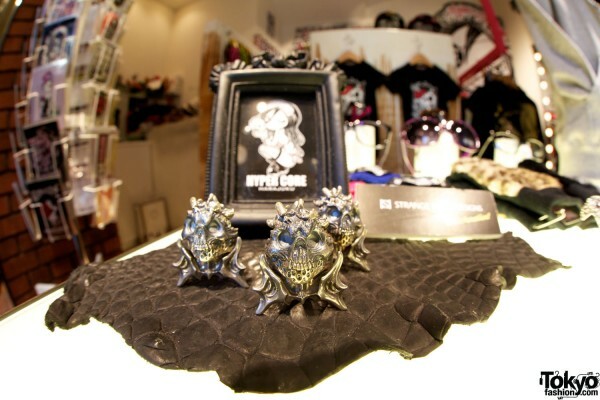 I really enjoy the presentation of the art at HYPER CORE from these photos. What for a great store. Awesome! 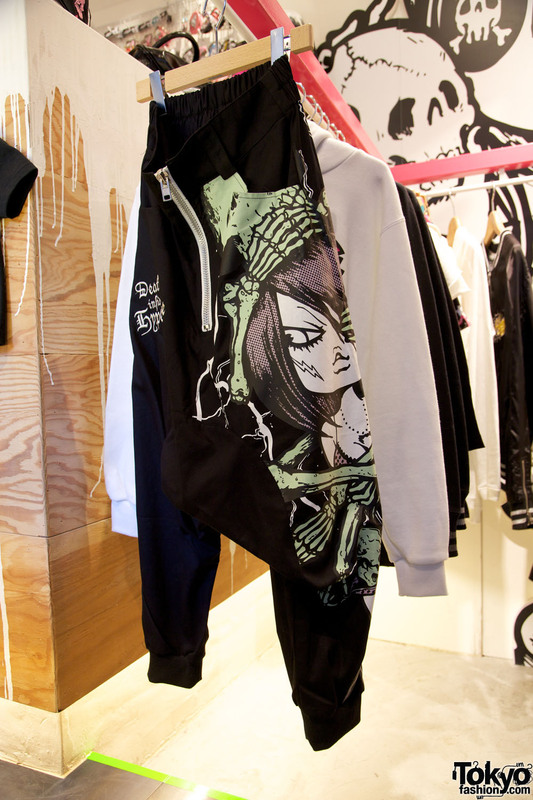 I want the laguage bag, really cool! I bought a suitcase from you a while ago and need a new one! Will be in when I get to Tokyo on Monday 25 or April 7th. Looking for a new design? See which ones you have. :-) see you soon.